Crime is rampant in Los Angeles, and a small percentage of it is related to the military. A group of undercover naval officers risk their lives every day to exact justice against the perpetrators committing crimes that range from theft of information to kidnapping and murder. Led by agents Callen and Hanna, the rest of the team is comprised of quirky and witty operatives like Kensi and Deeks, a duo that flirts not only with danger but with each other. Hettie is the leader of the pack, and she has resources and experience that helps in most of the situations the team finds themselves in. Whether she needs help from a lowlife in L.A. or a world leader, she can get most anyone to do her bidding, including her team of exclusive operatives. The NCIS: Los Angeles team is ready for the world in an action-packed Ninth Season. 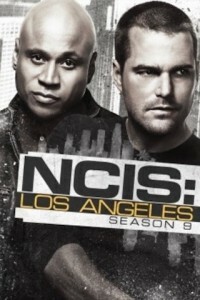 After suffering heartbreaking losses, Agents G Callen (Chris O’Donnell), Sam Hanna (LL Cool J) and crew are ready to go where America needs them. They’re prepped for every threat and any risk, as long as they have their courageous crew intact Special Agent Kensi Blye (Daniela Ruah) and LAPD Detective Marty Deeks (Eric Christian Olsen) put their lives on the line in the field, while tech experts Eric Beale (Barrett Foa) and Nell Jones (Renee Felice Smith) work their intel magic mainly from headquarters. The units commitment to our country is matched only by their dedication to each other. The fact is never more evident than when beloved Operations Manager Hetty Lang (Oscar winner Linda Hunt) goes missing, and new Assistant Director Shay Mosley (Nia Long) and Special Agent Harley Hidoko (Andrea Bordeaux) bring new challenges to their tight-knit department.